Qualification : Candidate should possess Graduation from a recognized University with second class securing minimum 50% marks for post 1, Graduation of a recognized University with minimum 45% marks & adequate knowledge of computer application for post 2. Mode of Selection : Candidates will be selected based on online examination, interview. Age Limit: Candidates age should not be more than 32 years for post 1, 30 years for Graduates/ Post Graduates/ Double Graduates for post 2 as on 31-03-2016. Age relaxation is applicable as per rules. Application Fee : Candidates have to pay Rs. 600/- through online by using Debit Cards (RuPay/ Visa/ MasterCard/ Maestro), Credit Cards, Internet Banking, IMPS, Cash Cards/ Mobile Wallets. 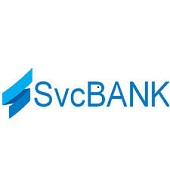 How to Apply at Shamrao Vithal Bank : Eligible candidates may apply online through the website www.svcbank.com from 26-02-2016 to 14-03-2016.